Matthew Shoda is our founder and president. He is a Florida state certified roofing contractor(CCC 1330901), and has been practicing residential construction of all types for many years now. 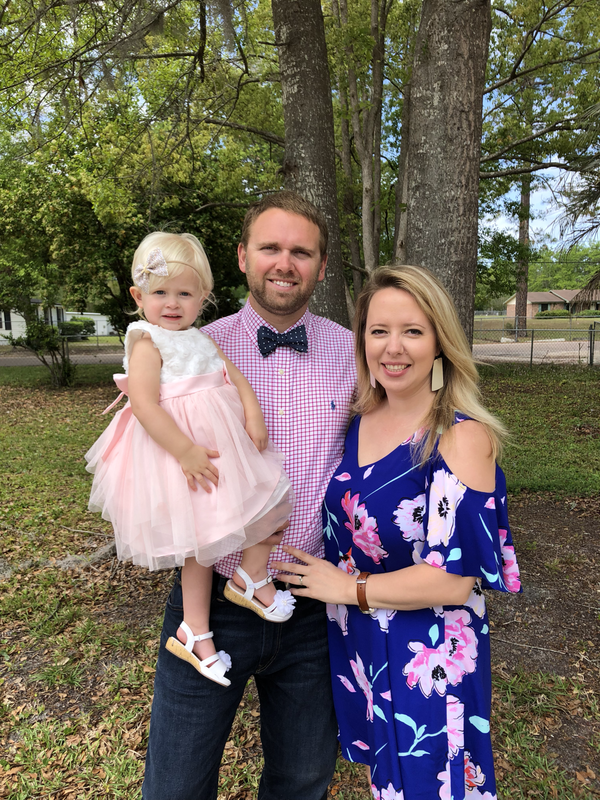 He's a family man, pictured here with his wife, Katie and his daughter Piper, and attends church at North Jacksonville Baptist Church. He wanted you to know that you’re investing in a family when you let us work for you, not just a faceless roofing company. He would like to thank you for taking the time to learn about himself and Strong Tower Roofing, and would love to be your next roofing contractor.